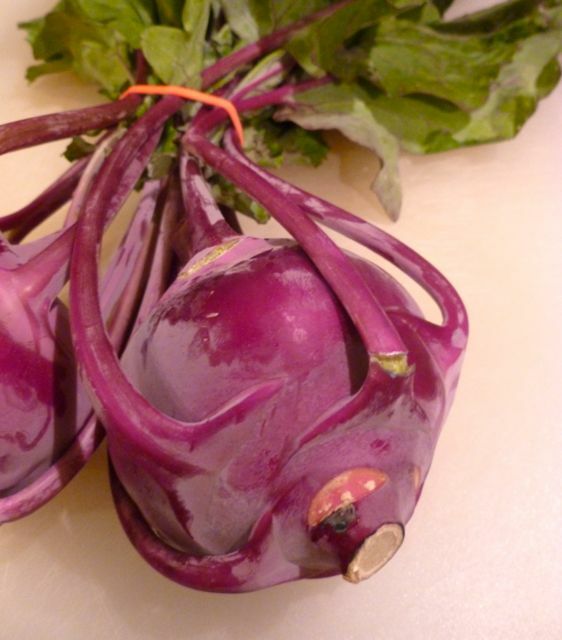 Kohlrabi - full of crunch, and nutritionally high in vitamin C, potassium, vitamin B6 and fiber! And, best of all, low in calories! Carpaccio of Kohlrabi with Radishes and Blue Cheese - pick up kohlrabi, radishes and Birchrun Blue for this recipe. Stop by the market tent to see how delicious these recipes look, then try them out on your family! School lunch hint: Kohlrabi makes a great addition to the lunch box - cut them in sticks - the kids love them!